Adorable print from Fabric Finders. 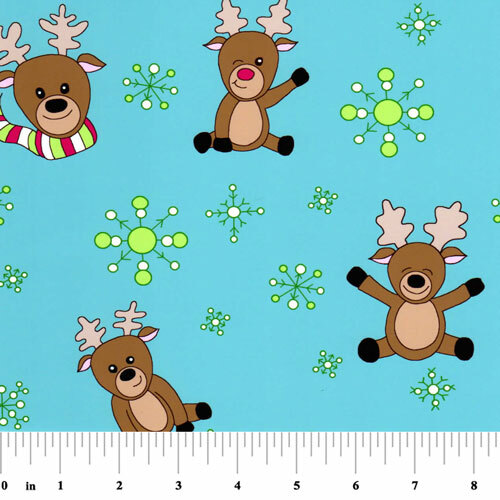 Whimsical reindeers and snowflakes on an aqua background. This fabric is 100% pima cotton. Lightweight, this fabric is incredibly soft and drapes beautifully. You truly have to feel this fabric to appreciate it. Suitable for apparel.